AP Møller-Maersk’s box building arm, Maersk Container Industry (MCI), has quit the dry container manufacturing sector to focus on the reefer market. The Copenhagen-headquartered firm today explained that while the dry container manufacturing business had “been under considerable pressure for some time, reefer volumes continue to grow, due to global demand for fresh produce and other commodities”. It will formally close its dry box manufacturing facility in Dongguan, China, which has lain idle since the start of December. MCI chief executive Sean Fitzgerald said: “Regrettably, our decision to focus on the cold chain business will impact our factory in Dongguan which has been idle due to the tough market conditions. The company added that none of its other manufacturing facilities would be affected in the switch in focus to the reefer market. 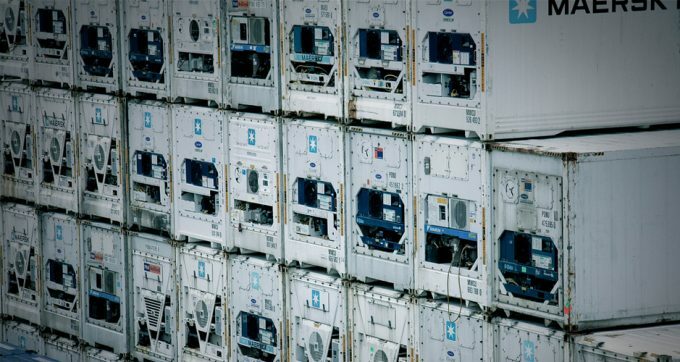 It claimed some 30% of all reefer containers currently in operation are equipped with its Star Cool technology. MCI’s latest reefer investments were marked by the launch of its Sekstant data reporting tool which utilises internet of things (IoT) technology to allow shipping lines and other reefer operators, such as leasing firms and large perishable goods shippers, the ability to receive real-time data, including GPS location, temperature readings and alarms. MCI’s reefer operations were consolidated last year when it closed a production facility in San Antonio, Chile, just three years after its opening. This was due, it said, to the twin challenges of overcapacity of global reefer production and the higher costs of sourcing raw materials and developing a local supply chain. All its reefer manufacturing now takes place in Qingdao. New Loadstar LongRead: Pharmaceutical logistics – can ocean carriers eat into this growing and profitable sector for air? Is Maersk ready to reinvent itself?